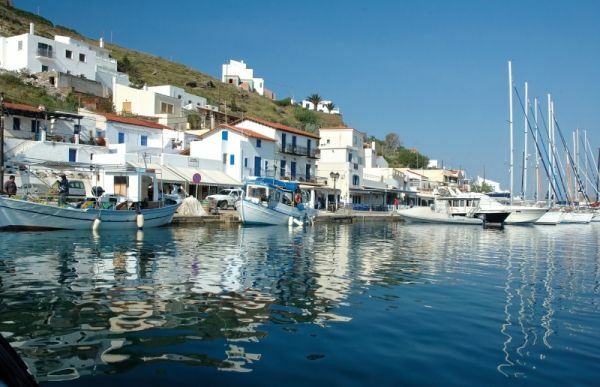 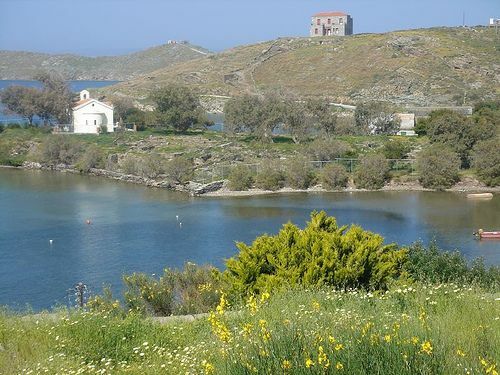 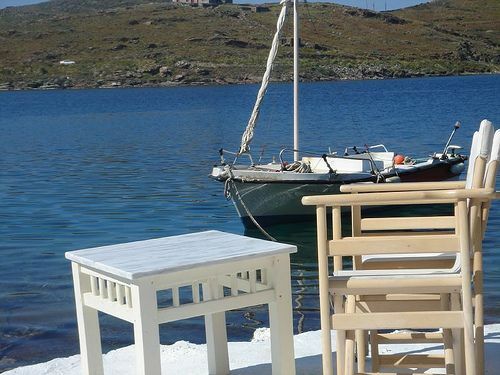 Vourkari is a small fishing village which has become very cosmopolitan recently due to its proximity to Athens and Lavrion Port. 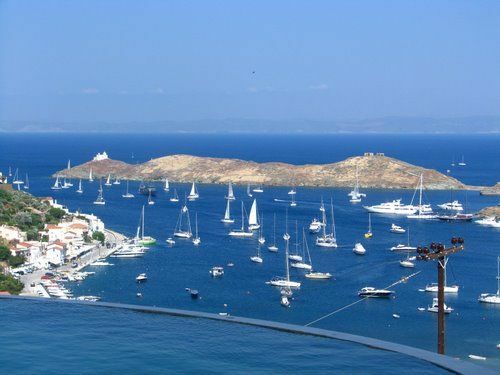 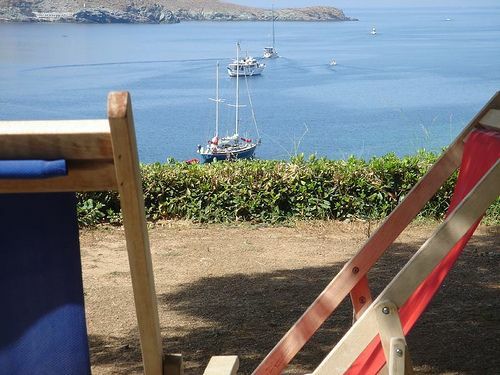 It has only a few local residents but it gets crowded during the summer weekends, since it is considered as a meeting point among yachters and among the numerous Athenians that have a house on the island. 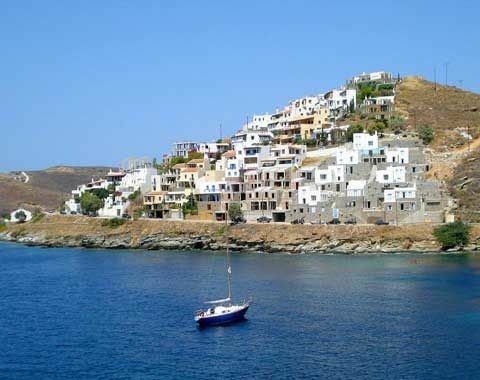 Despite the impressive beautiful stone villas built on the hills, the place keeps its local character and does not have mass tourism. 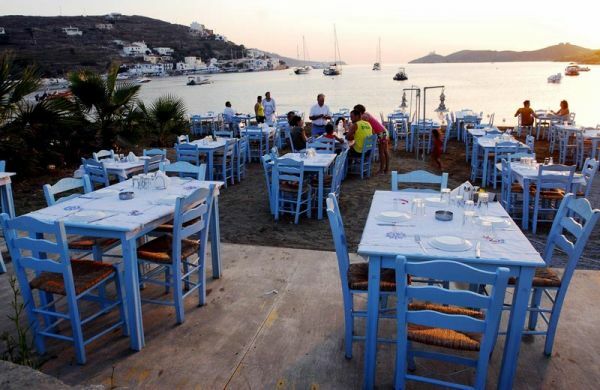 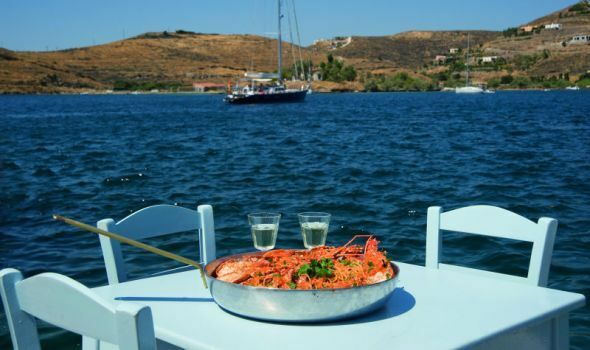 Vourkari has 4-5 good restaurants serving lobster spaghetti and traditional dishes. 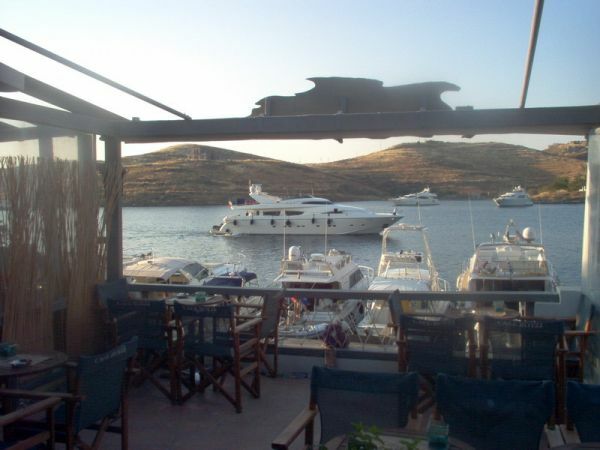 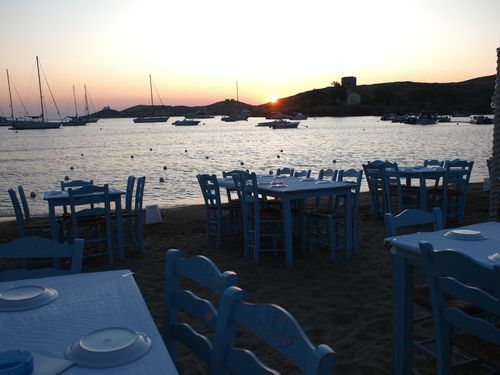 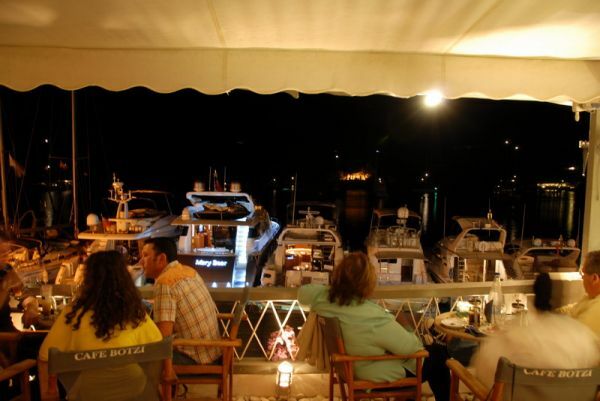 Having a meal at the restaurants in front of the yachts' quay, is considered as a "must". 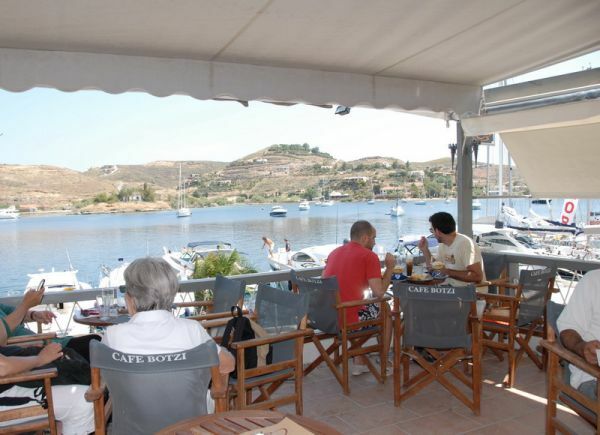 A few very nice cafe-bars, a few shops and two clubs are found right on the quay and further on the beach. 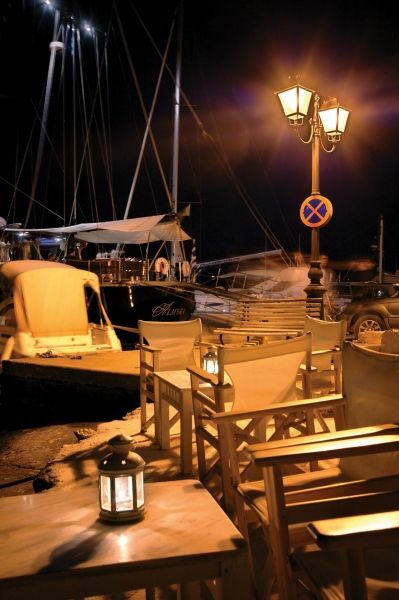 Nightlife in Vourkari is interesting but not wild as in other Greek islands. 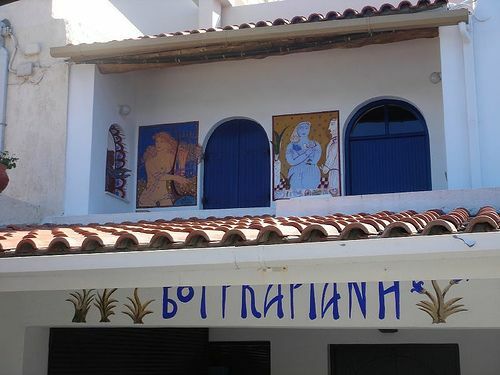 There is also a small art gallery with interesting works of famous Greek artists. 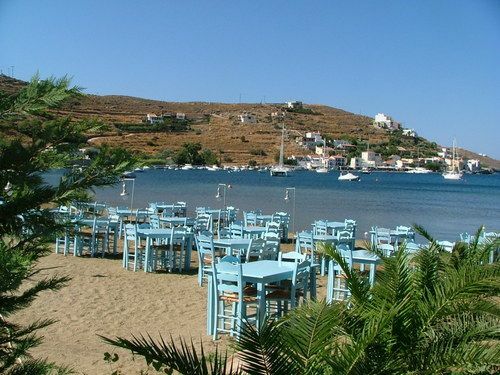 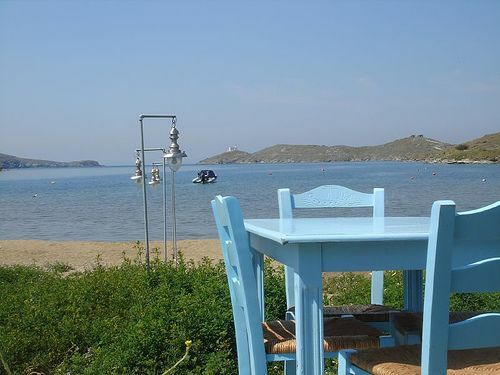 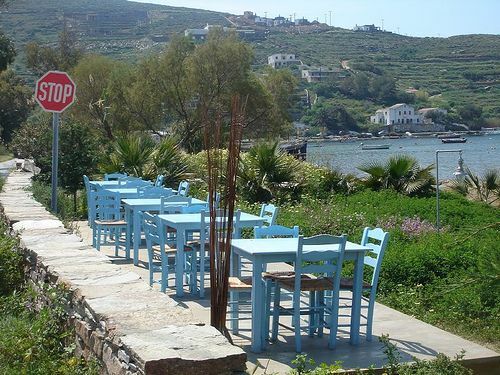 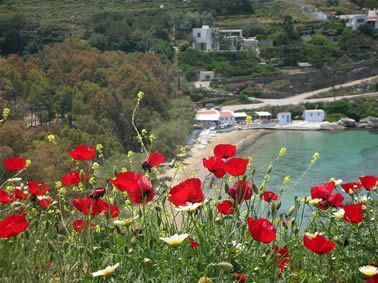 It is worth strolling in the village's narrow streets and along the coastal road towards the historic peninsula, archaeological site and chapel of Agia EIrini, where some nice restaurants are found right on the sandy beach. 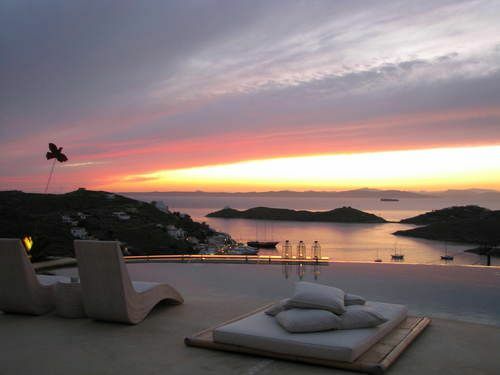 There, the place is uspoiled and peaceful. 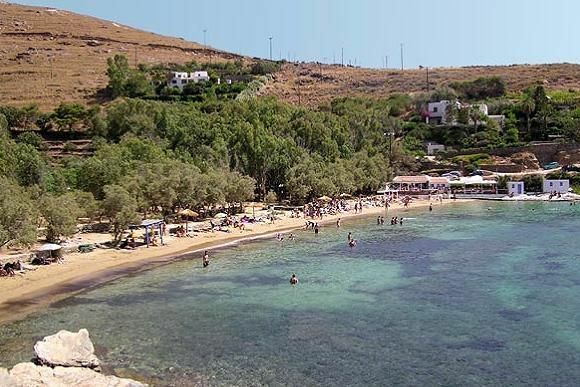 BEACH: Swimming is not recommended in Vourkari's sandy beach because waters do not seem clean. 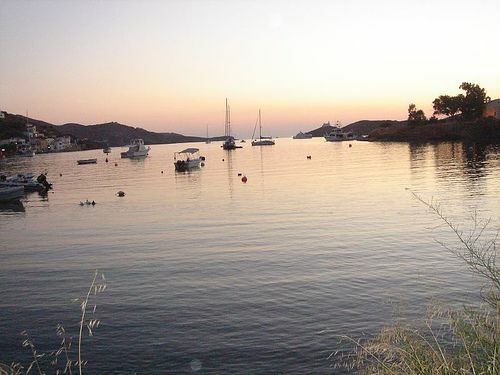 However at apx 5min walk there is the beautiful Gialiskari beach, under the so named settlement. 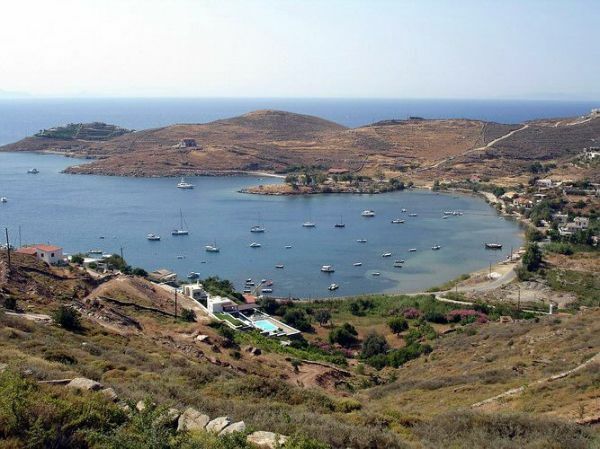 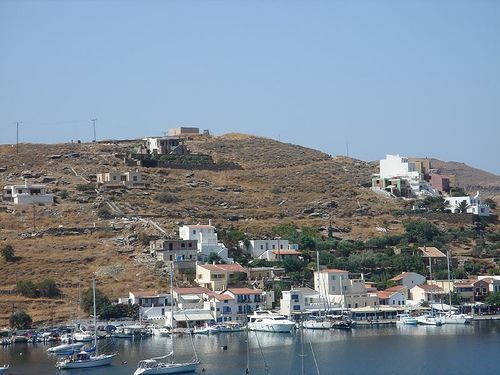 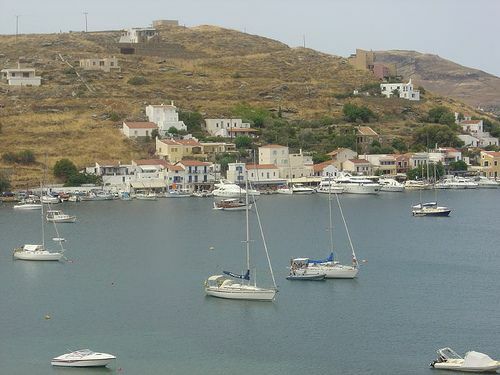 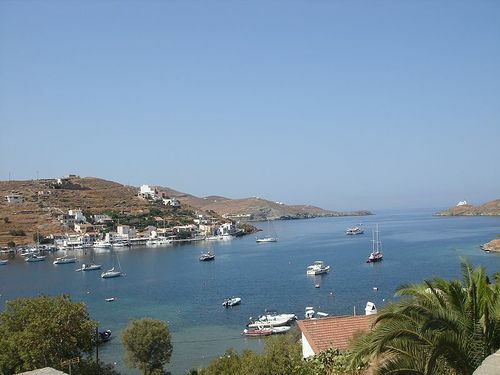 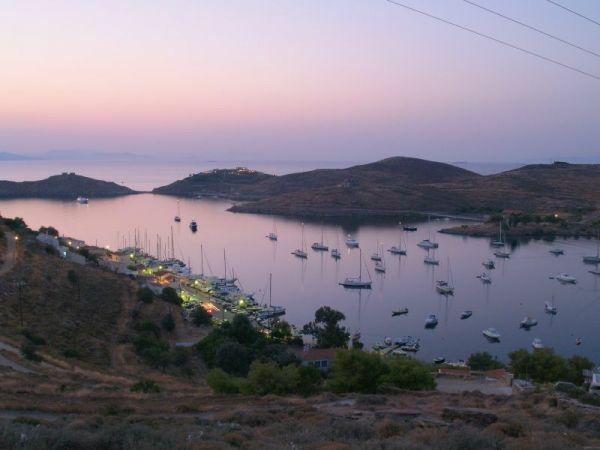 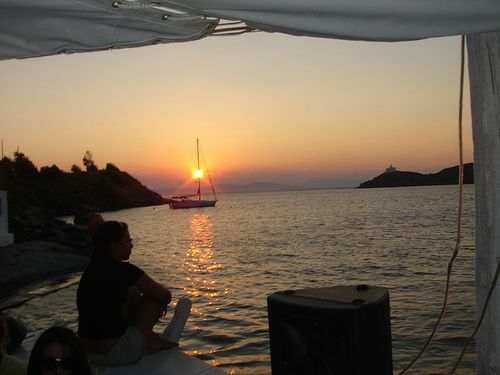 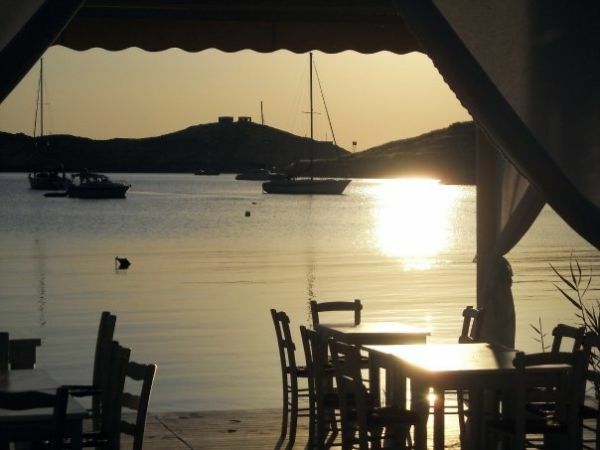 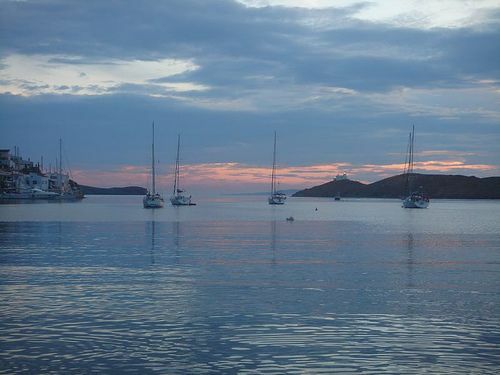 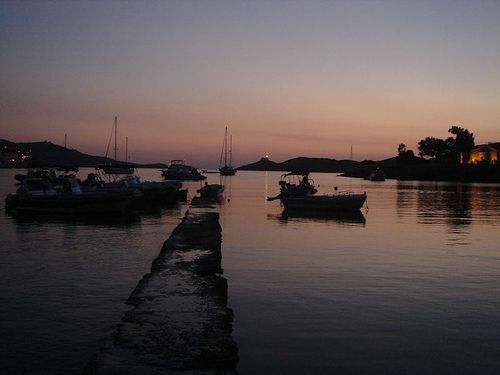 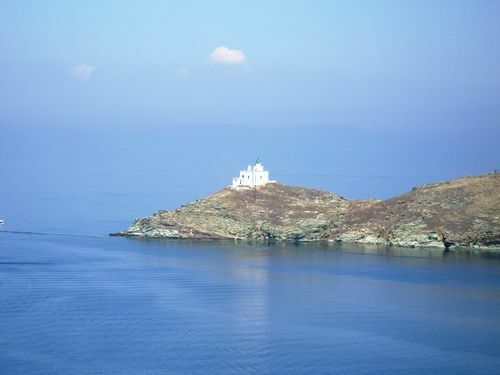 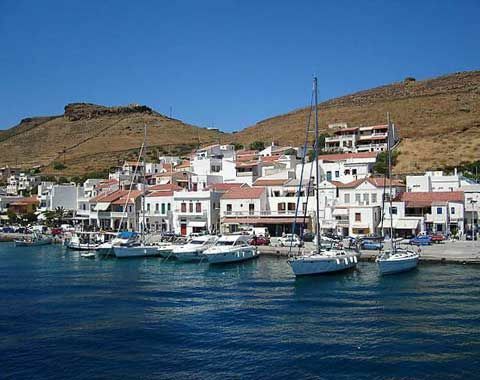 ANCHORAGE & MOORING INFO: Vourkari is one of the safest and most popular anchorages and moorings in Cyclades. 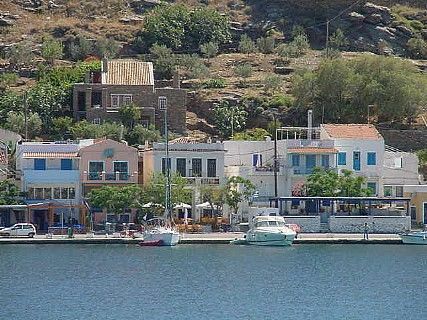 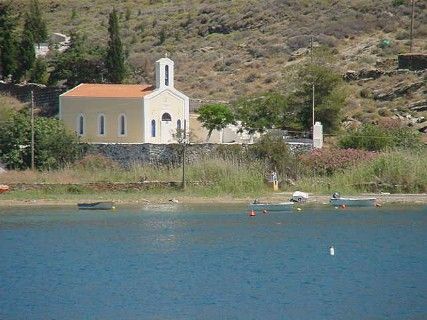 It is located at the N/E of Agios Nikolaos bay and is well protected from the meltemi which usually prevails in the summer. 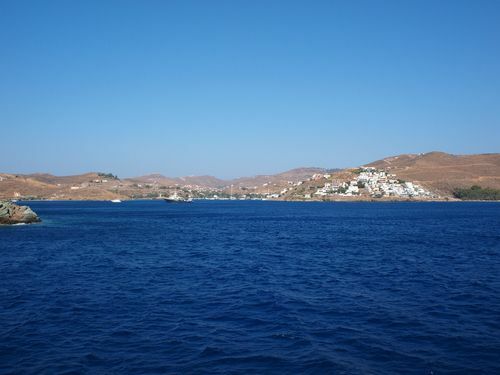 It is uncomfortable and possibly dangerous with West winds. 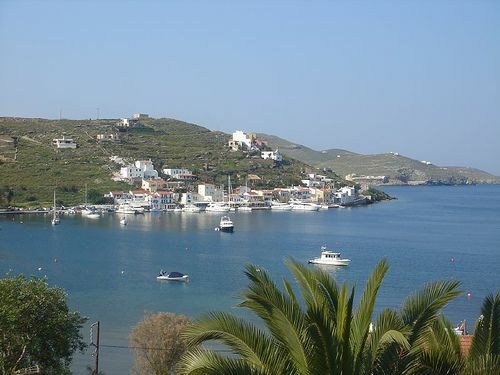 Korissia (main port) is better in that case. 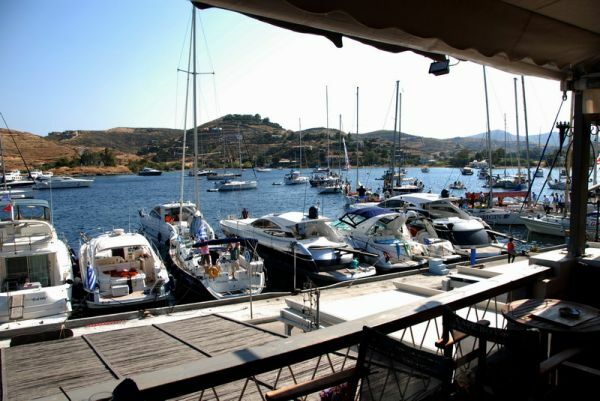 There are mooring places for apx 15-20 boats on the dock. 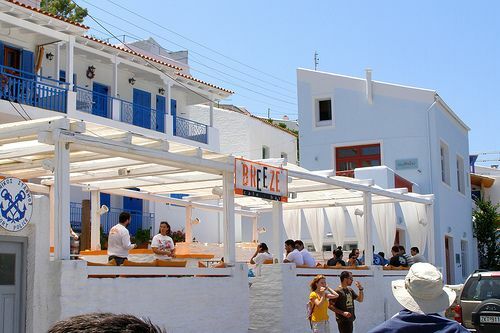 It is difficult to find a place during the weekends and the high season. 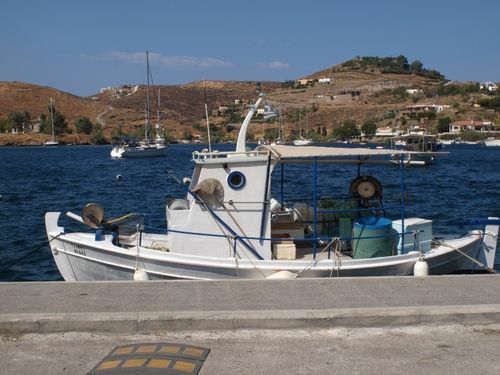 There is more space for smaller boats on the eastern part of the dock (shallow). 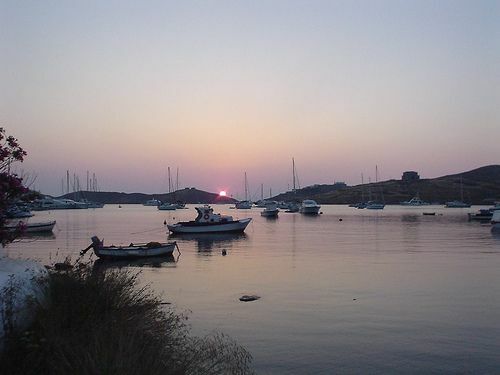 Some owners have placed permananet moorings. 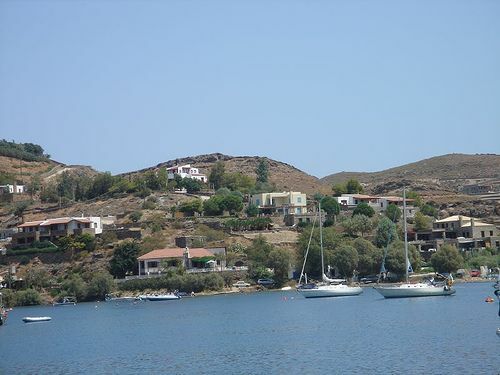 Many yachts anchor opposite the village (N) with mooring lines on the rocks. 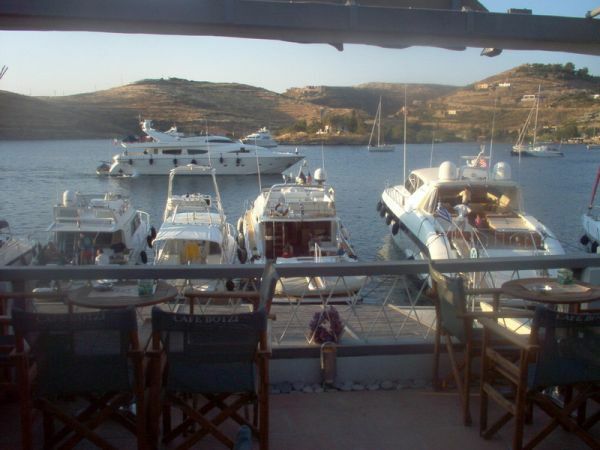 Quite noisy quay. 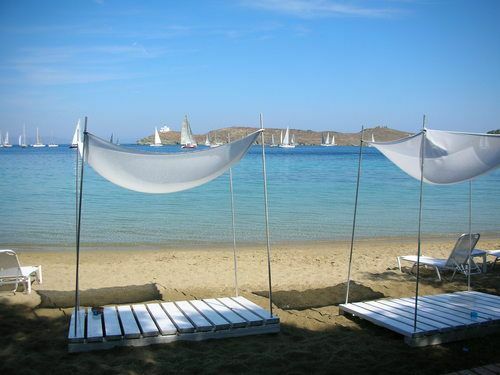 HOLDING: Good, sandy. 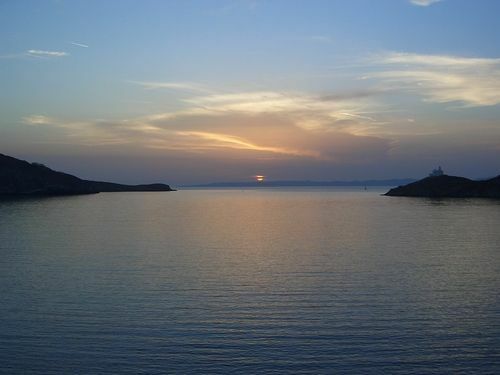 Deep waters, use lots of chain. 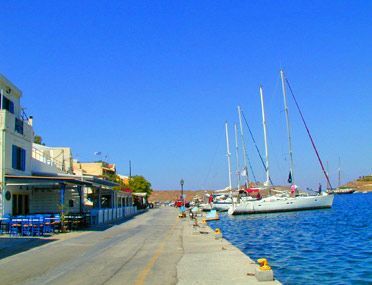 FACILITIES: Water, power suppliers & mini market on the dock.